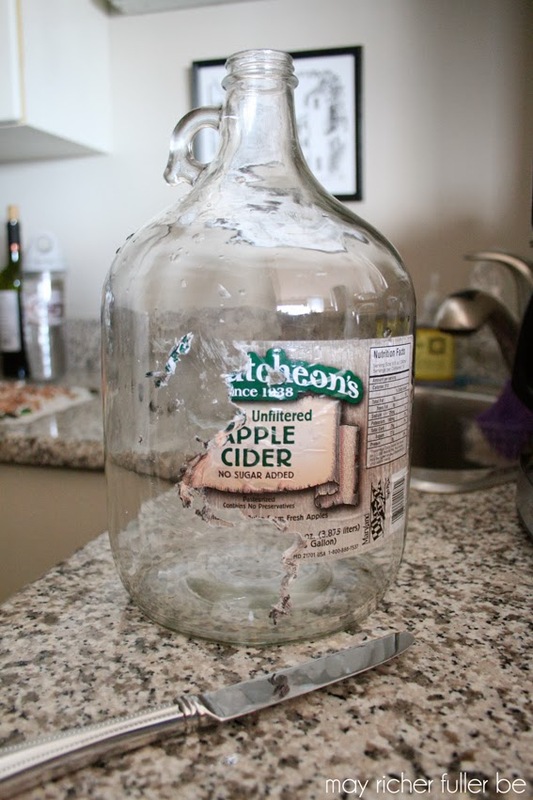 The reason I was super motivated to figure this out was because I had a large glass jug I wanted to reuse (it held cider originally), but it had a GIANT label on the front that needed to go. I took one look at it and knew that it would be a bear to remove if I tried the ole peel and pick method, so I decided to try something using things I had around the house and guess what, it worked. Beautifully. And no fingernails were harmed in the process. 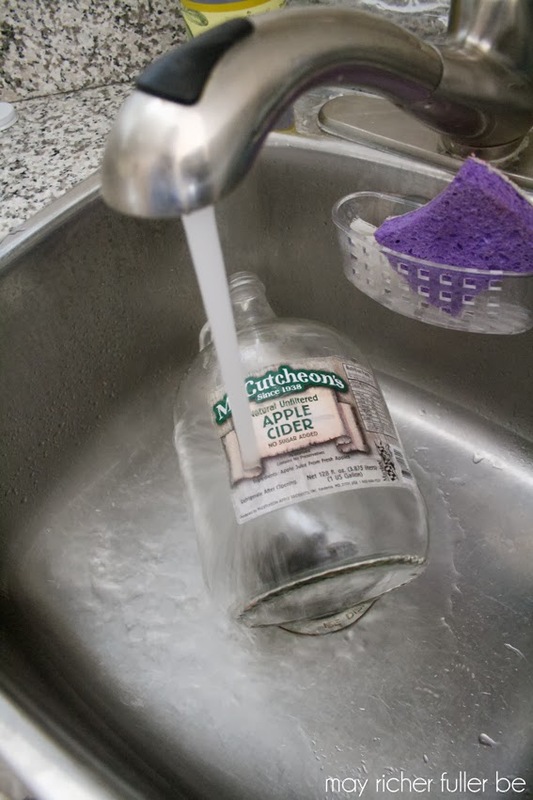 Step 1: Place the jug in the sink and let hot (as hot as your tap will get) water run over it for a couple of minutes. 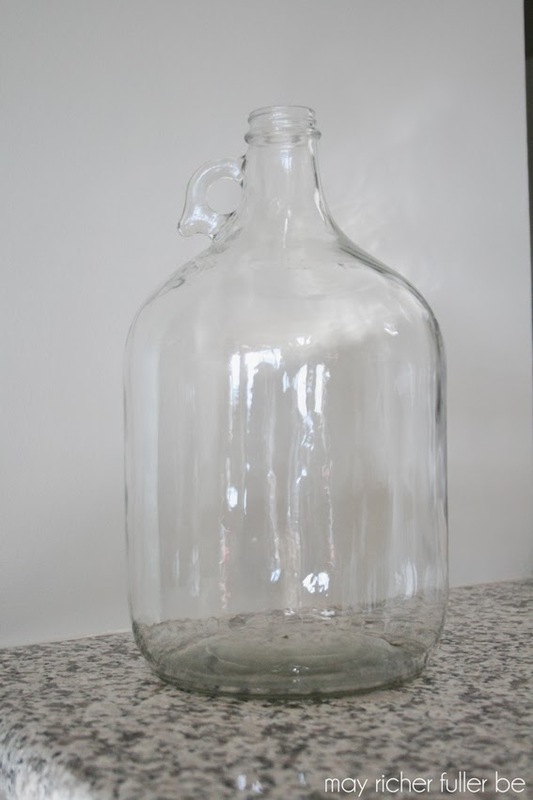 Depending on how big the label is, you may have to rotate the jug around. The hot water melts and softens the label's glue/adhesive and make it easier to remove. Step 2: Scrape the label off with a dull knife. The label should come off in large chunks with gentle scraping. You shouldn't have to scrape hard. 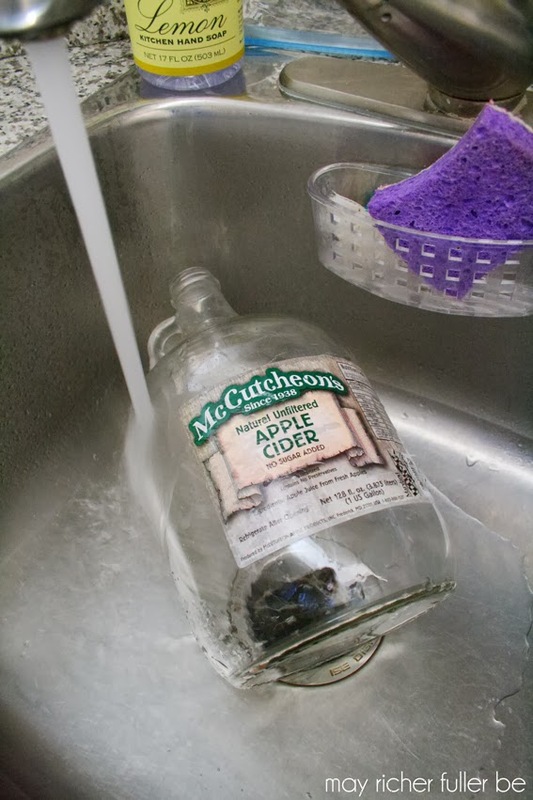 If you do, return the jug to the hot water again to melt the glue a little more. I had to do this once to be able to remove the entire label easily. There will be plenty of glue left over (don't panic! ), but all the paper should be gone after this step. 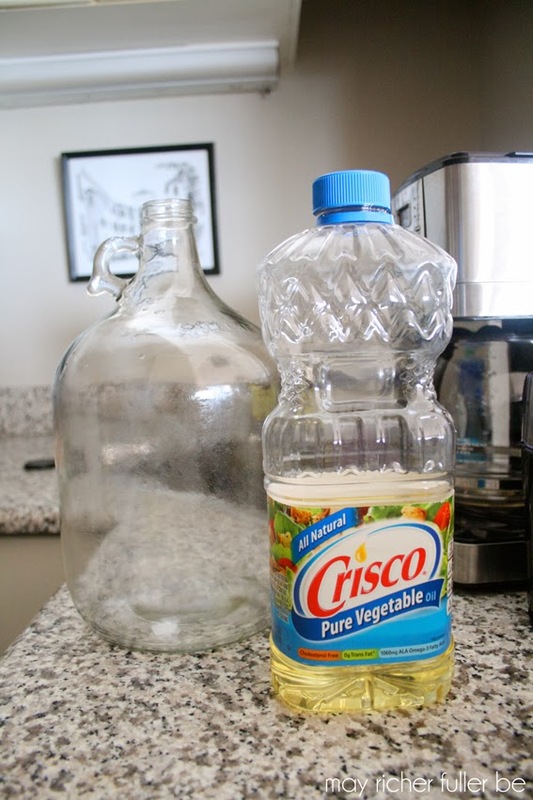 Step 3: Pour a small amount (about a quarter size) of vegetable oil onto a paper towel and rub it on the leftover glue. This step takes a little bit of elbow grease, but again, you shouldn't have to work too hard as long as you work quickly while the glue is still warm! Rub in a circular motion until it looks like most of the glue is gone. If it starts to feel dry when you rub, add more oil to your paper towel. 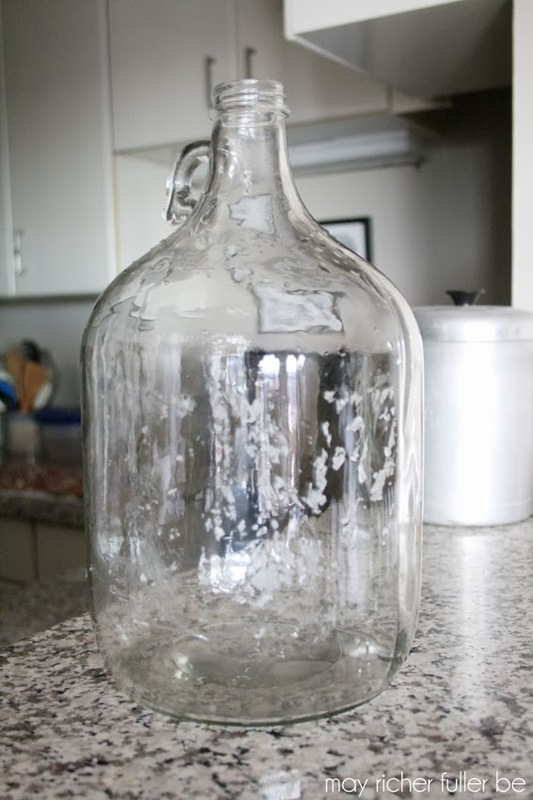 Step 4: Wash jug with soap and warm water to remove the oil. Once it's clean, check for any leftover residue. If you're clean, you're done. Hooray! I think it only took me about 10 minutes to do this, and the label was huge! I hope this helpful hint will save y'all some trouble and heartache when you find yourself needing to remove some annoyingly sticky labels in the future. You're welcome ;). 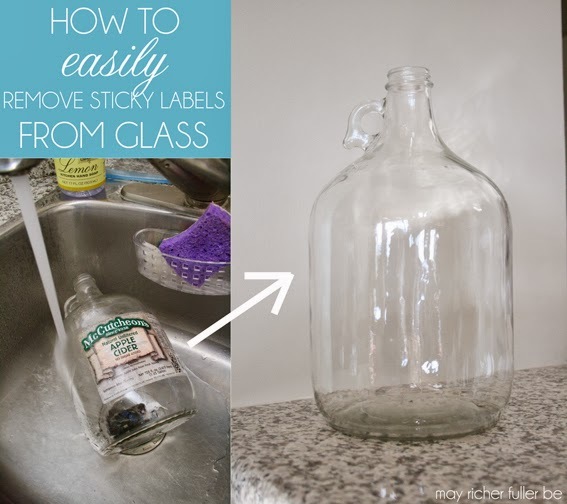 Great tip - I hate trying to scrape sticky labels and price tags off glass. Next time I will have to give this method a try. What a perfect day for me to see this! I've got a sink full of glass jars that I am getting ready to remove labels from!! Thanks, can't wait to try this! Good tip! 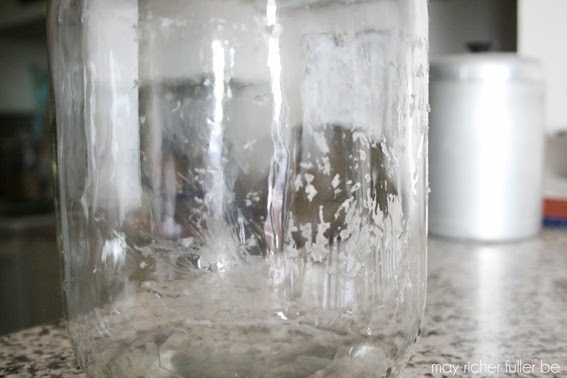 I just found two similar glass jars and was figuring out how to get the labels off. Haven't been looking forward to it so I've put it off. Never heard of using veggie oil.